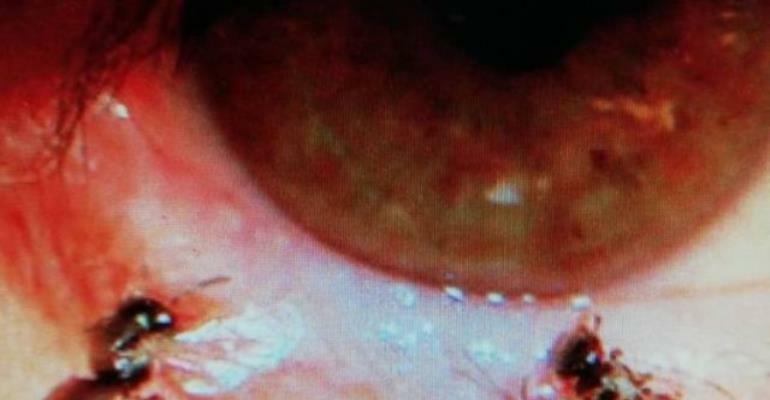 In a medical case that doctors have called a “world’s first”, a Taiwanese woman was found to have four live sweat bees living in her eye, feeding on her tears for long. The patient, referred to only as Ms. He, was reportedly tidying up a relative’s grave at the cemetery by pulling out weeds when a gust of wind blew what she thought was sand and dirt into her eye. She cleaned her eyes with water, but a few hours later she started feeling a sharp pain in her left eye and started constantly tearing up. The 20-something woman was taken to Fooyin University Hospital in Taiwan’s southern county of Pingtung, where ophthalmologists were shocked to find four live sweat bees feeding on her eye like it was a salt lick.